Hosted within one of the tiniest storefronts in San Francisco, HUNTED offers an array of vintage jewelry & accessories. Focusing on unique & bold examples that range from the Victorian era to the 1980's, proprietor Erika von Petrin has collected many one-of a kind statement pieces to grace the neck, wrist, ears & arm. Appointments are encouraged, but walk-in shopping is welcomed for one-on-one attention & selection for your collection, gifts, whims or next important event. Vintage & Designer. 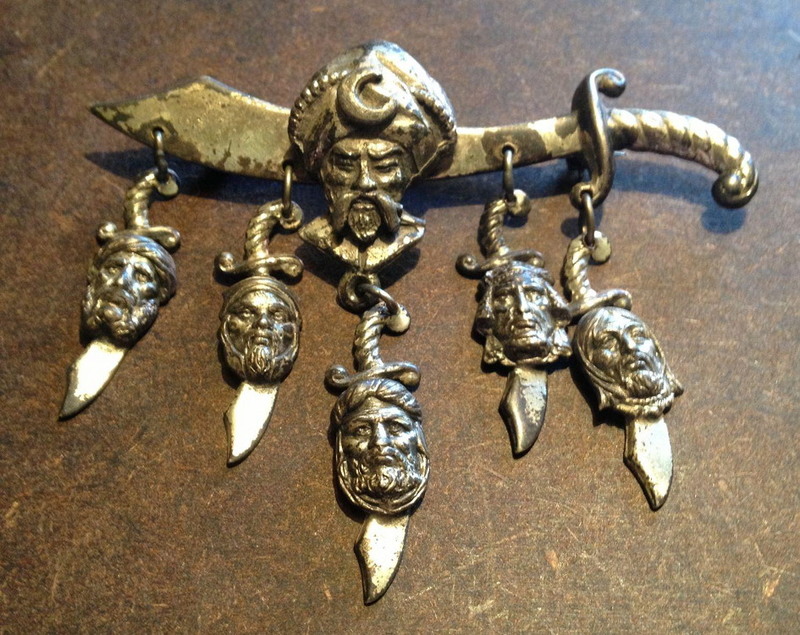 Pictured: Korda Thief of Bagdad 3" wide scimitar brooch (circa 1940). © 2018 Hunted. All Rights Reserved.